The main statutes relating to employment are the Unfair Dismissals Acts 1977-2015, the Employment Equality Acts 1998 to 2015, the Redundancy Payments Acts 1967 to 2014, the Protection of Employees (Fixed-Term Work) Act 2003, the Protection of Employees (Part-Time Work) Act 2001, the Protected Disclosures Act 2014, the Safety, Health and Welfare at Work Act 2005, the Organisation of Working Time Act 1997 and the Terms of Employment (Information) Act 1994. There are a number of other employment laws and regulations in Ireland, the most important of which are referred to below. In Ireland, discrimination is prohibited in employment under the Employment Equality Acts 1998 to 2015, which prohibit discrimination across nine discriminatory grounds: gender, marital status, family status, sexual orientation, religion, age, disability, race and membership of the traveller community (the ‘discriminatory grounds’). discrimination by employers, employment agencies, trade associations or trade unions. Indirect discrimination arises where an employer applies a particular condition to all employees that puts certain employees at a disadvantage because of one of the discriminatory grounds. Indirect discrimination may be objectively justified by showing that it is a proportionate way of achieving a legitimate aim. The burden of proof in employment equality cases is on the complainant. Once the complainant establishes a prima facie case of discrimination (ie, facts from which it may be presumed that there has been discrimination), the burden then shifts to the respondent to prove the contrary. Harassment and sexual harassment are prohibited under section 14A of the Employment Equality Acts. Harassment is defined as any form of unwanted conduct related to any of the discriminatory grounds, and sexual harassment is any form of unwanted verbal, non-verbal or physical conduct of a sexual nature. In both cases, the conduct must have the purpose or effect of violating a person’s dignity and creating an intimidating, hostile, degrading, humiliating or offensive environment for the person. Individuals are also protected from harassment by the Non-Fatal Offences Against the Person Act 1997, provided that the action complained of is persistent, and a reasonable person would realise that the acts would seriously interfere with the other’s peace or privacy, or cause alarm, distress or harm. The primary government departments responsible for employment statutes and regulations are the Department of Employment Affairs and Social Protection and the Department of Business, Enterprise and Innovation. The Minister for Jobs, Enterprise and Innovation (as he was then known) established the Workplace Relations Commission (WRC) on 1 October 2015, which provides information on industrial relations and rights and obligations under Irish employment and equality legislation. The WRC offers a mediation, conciliation and adjudication service. Appeals from an adjudication officer (ie, the first stage of the adjudication process) are to the Labour Court for employment cases and to the Circuit Court for equal status cases. The WRC also has powers of inspection and may visit employment premises to ensure compliance with equality and employment-related legislation. If an employee claims to have been discriminated against on the ground of gender, he or she may choose to take the complaint directly to the Circuit Court. The European Communities (Transnational Information and Consultation of Employees Act 1996) (Amendment) Regulations 2011 apply with regard to European works councils, and the Employees (Provision of Information and Consultation) Act 2006 applies in relation to responsibilities to establish a general framework setting out minimum requirements for the right to information and consultation of employees. Works councils are not mandatory and require an ‘employee request’ or employer initiative for establishment. The Regulations and the Act set out thresholds for size and geographical spread of the relevant workforce for the provisions to apply. Works councils in Ireland are rare and have limited power. Employees in Ireland are usually either represented by a trade union (approximately one-third of the workforce) or not at all. All employees have a constitutional right to join a union; however, all employers also have a constitutional right to decide whether or not to recognise the union as representing the workforce. European works councils are designed to facilitate employee access to management information and are made up of employee representatives from the different European countries in which a multinational company has operations. European works councils hold meetings during which the employee representatives are informed and consulted by central management on issues that could possibly affect employee interests. These issues are limited to transnational questions (ie, issues that concern all the operations of the business in Europe, or those that concern undertakings or establishments in at least two different qualifying countries). Management does not have to disclose information that it claims is commercially sensitive. Under the Employees (Provision of Information and Consultation) Act 2006, employers and employees must negotiate an ‘Information and Consultation Arrangement’. An employer may at its own initiative, or at the request of 10 per cent or more of the employees or at the direction of the Labour Court, enter into negotiations to establish such an Arrangement. The Act imposes a time limit of six months for the agreement and establishment of that Arrangement (although that time may be extended). If no agreement is reached, then the standard rules (as set out in the Act) will apply. Employers can potentially face criminal prosecution for non-compliance. Some protections are afforded to employers under the Act. It is an offence for an employee to disclose confidential information and a person guilty of such an offence may be liable to a fine of up to €3,000 or six months’ imprisonment. Employers are entitled to refuse to provide information where disclosure of the information would seriously harm the functioning of, or be prejudicial to, the business (for example, trading information). Employees are entitled to challenge such a refusal by referring the matter to the Labour Court for adjudication. Under the Criminal Justice (Spent Convictions and Certain Disclosures) Act 2016, an adult will not have to disclose his or her conviction in respect of a range of minor offences after seven years. Data obtained by employers must be processed and held in compliance with data protection legislation. Any information in the public domain can generally be accessed within the context of data protection requirements. Individual offers of employment can be made conditional upon satisfactory health checks, but a prospective employer may be liable pursuant to a discrimination claim if the offer is not confirmed on the basis of information disclosed by the health checks. The compensation available for pre-employment equality claims is €13,000. Medical reports given by a medical practitioner responsible for an individual’s care are subject to data protection legislation and the patient must consent to the disclosure of information. Medical information about an individual also constitutes ‘sensitive personal data’ for the purposes of the Data Protection Acts 1988 and 2003 and the Data Protection Bill 2018 (which will implement certain provisions of the General Data Protection Regulation (GDPR) and will replace the current Data Protection Acts when enacted). Employers are required (under section 8 of the Safety, Health and Welfare at Work Act 2005) to ensure the safety, health and welfare at work of all employees. This includes ensuring the prevention of improper conduct or behaviour likely to put employees at risk. An employer may require an applicant to submit to a drug or alcohol test, to the extent that this is required to ensure that the applicant may safely carry out the proposed role. These tests must be necessary and proportionate. No. There are no requirements to give preference to particular groups of people. Employers are obliged under the Employment Equality Acts not to discriminate on any of the discriminatory grounds (as listed in the response to question 2) in relation to access to employment. a reference to any collective agreements that directly affect the terms and conditions of the employee’s employment. Fixed-term contracts are permissible; however, certain rights and protections are given by the Protection of Employees (Fixed-Term Work) Act 2003. There is no maximum duration of contracts, but successive fixed-term contracts of four or more years will be deemed to be contracts of indefinite duration, unless objectively justified by the employer. There is no statutory maximum probationary period. Typically employers provide for a probationary period of six months subject to extension at the employer’s discretion. In practice, probationary periods should not exceed 11 months (with a two-week notice period applicable during probation) to ensure that an employee does not accrue service to maintain a claim under the Unfair Dismissals Acts. An employee is employed under a contract of service and works under the control of the employer. An independent contractor provides services under a contract for services and does not operate under the control of the party to whom he or she is providing services. the ability or inability to use substitutes. Temporary agency workers must also have equal access to facilities such as childcare and must be informed of permanent employment opportunities. There is not a set number of short-term visas that the Irish government will issue. The applicant must show they have sufficiently strong family, social or economic ties to a place of residence in a country other than Ireland. The granting of the visa is ultimately at the discretion of the immigration officer. There is no right to a visa nor is there one set of documents or circumstances of application that will guarantee the approval of an application. An employee wishing to transfer from one corporate entity in another jurisdiction to an Irish-related entity must obtain an employment permit (and may also require a visa). The relevant employment permit is an Intra-Company Transfer Employment Permit, which is designed to facilitate the transfer of senior management, key personnel or trainees who are non-EEA nationals from an overseas branch of a multinational corporation to its Irish branch. Once this employment permit is obtained, the employee can apply for a Long Stay Employment visa (if applicable). Alternatively, employees may apply for a Critical Skills Employment Permit if the role falls within specific criteria (ie, occupations that are critically important to growing Ireland’s economy, are highly demanded and highly skilled, and in significant shortage of supply in Ireland’s labour market). The employee must also receive a minimum level of remuneration in order to qualify for this type of permit. Spouses of authorised workers will need to apply for an employment permit to be entitled to work in Ireland. The Dependant/Partner/Spouse Employment Permit allows spouses of Critical Skills Employment Permit holders to work in Ireland. Spouses of Intra-Company Transfer Employment Permit holders are not eligible for this permit and must apply for an Employment Permit (eg, Critical Skills or General Employment Permit) in their own right. The spouse of the permit holder must be legally resident in Ireland. An employer may not employ a foreign national without the requisite permission to work. An employer found guilty of employing a foreign worker without the right to work in the jurisdiction is guilty of an offence under the Employment Permits Act 2003 and may be liable to a fine of up to €250,000 or 10 years’ imprisonment. There is no requirement to conduct a labour market test before applying for a short- or long-term visa. where the job offer is for a carer of a person with exceptional medical needs and that person has developed a high level of dependence on their non-EEA national carer. The Organisation of Working Time Act 1997 provides that the maximum average working week for employees may not exceed 48 hours. The average is calculated over four, six or 12 months depending on the category of employee. An employee may not opt out of the statutory requirements of the Act. However, if an employee’s role is one in which the employee determines their own working time (generally established by reference to contract, seniority and reality of the situation), then Part II of the Organisation of Working Time Act may not apply. Overtime pay is not a statutory requirement. Employees who work on Sundays are entitled to a reasonable allowance, a reasonable pay increase or reasonable paid time off work in respect of that period of work. Alternatively, employers may determine an employee’s overall pay, taking into account the fact that he or she will be required to work on Sundays. There is no statutory right to overtime pay. See question 20 in relation to Sunday pay. An employer and employee may contractually agree that the employee’s overall pay is inclusive of the premium based on his or her obligation to work Sundays. The Organisation of Working Time Act 1997 provides for a minimum period of 20 days’ annual leave in addition to the nine public holidays in Ireland. Annual leave may be subject to the employer’s approval in relation to when the leave may be taken. Since 1 August 2015, employees on long-term sick leave accrue annual leave entitlements up to 15 months after the end of the year in which the entitlement accrued. An employee does not have an entitlement to be paid by the employer while on sick leave. This is a matter for the employer’s discretion. It is open to an employee to apply for illness benefit provided that he or she has sufficient social insurance contributions. Employees who have made the requisite social insurance contributions may receive maternity benefit, adoptive benefit or paternity benefit from the Department of Employment Affairs and Social Protection. Employers are not obliged to pay employees during maternity, adoptive, parental or paternity leave. an employee who is a new parent other than the mother of the child (eg, father, civil partner of mother, sole male adopter) is entitled to two weeks’ paternity leave. There is currently a proposal in the Irish government to extend parental leave to 26 weeks per child (see ‘Update and trends’). There is no obligation on an employer to set up or to contribute to a pension scheme. If an employer does not have a pension scheme, or an employee is excluded from joining a pension scheme, the employer must provide access to a Personal Retirement Savings Account within six months of the employee starting employment. the right not to suffer a detriment or unfair dismissal by reason of their fixed-term status. Successive fixed-term contracts of four or more years will be deemed to be contracts of indefinite duration with the employer, unless objectively justified by the employer. the right not to suffer a detriment or unfair dismissal by reason of their part-time status. Employers are not currently obliged to publish information on pay, employees or the general workforce. However, there are requirements for the disclosure of directors’ remuneration. Recently these requirements have changed and the definition of directors’ emoluments now includes all benefits-in-kind regardless of whether or not they are taxable. Emoluments for all services provided in connection with the management of the company now fall to be disclosed on a combined basis. The Irish Human Rights and Equality Commission (Gender Pay Gap Information) Bill 2017 is going through the legislative process in the Irish government and has passed the Committee Stage. The Bill provides for increased monitoring and publication of gender pay gap information, including the differences between male and female mean hourly rates of pay, median hourly rates of pay, mean bonus pay and median bonus pay. The provisions will not apply to employers with fewer than 50 employees. The default position in Ireland is that restrictive covenants (ie, non-compete and non-solicitation clauses) are void as being restraint of trade, unless the employer demonstrates that there is a legitimate business interest, that the restriction goes no further than reasonably necessary and that it is not contrary to the public interest. Restrictive covenants will only be enforceable to the extent to which they are protecting legitimate business needs. In this regard, they should be limited in terms of activities, geographic scope and duration. In all circumstances, the level of restriction should be balanced with the risk to the business. Post-termination non-compete clauses and non-solicitation clauses are normally subject to a maximum duration of 12 months. 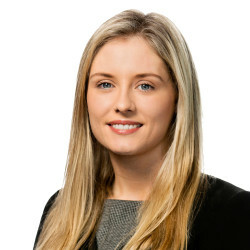 An employer is not obliged to pay the former employee during the post-termination restrictive covenants; however, garden leave is relatively common in Ireland. At common law, employers are vicariously liable to third parties for the acts and omissions of their employees that occur in the course of the employees’ employment. Under the Employment Equality Acts, employers will be vicariously liable for the discriminatory acts and omissions of their employees where an employer has failed to take reasonable practicable preventive steps. The deduction at source of income tax (‘Pay As You Earn’), pay-related social insurance and universal social charge is mandated by the Taxes Consolidation Act 1997. 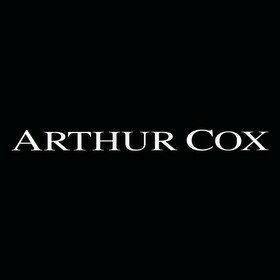 Parties’ rights in relation to employee inventions are covered by the Patents Act 1922 and the Copyright and Related Rights Act 2000. The employer will usually retain any intellectual property created by the employee in the course of employment. Generally, there will be an express provision in the contract of employment stipulating that intellectual property will belong to the employer. There is no statutory protection in relation to confidential information and trade secrets; however, it is common to insert provisions in relation to both in the employee’s contract. kept within the EEA, unless the recipient ensures adequate data protection. Employers are obliged to notify the Data Protection Commissioner (which will be removed following the implementation of the GDPR) of the data being processed and the purposes for which processing of data is being carried out. Employers must comply with ‘data subject access requests’ by individuals for their data, which are requests by employees to their employers for personal information that is held about them. The GDPR will come into effect on 25 May 2018 and will supersede the Data Protection Acts. The GDPR will provide enhanced data protection rights and protections for employees. The Data Protection Bill 2018 has recently been initiated in Ireland in order to transpose the GDPR and is currently going through legislative approval. Where there is no change in the identity of the employer, (eg, share sale) the employees’ contracts of employment continue as prior to the transfer. All rights, duties and liabilities continue and the buyer of the employer’s shares inherits all those rights, duties and liabilities. The European Communities (Protection of Employees on Transfer of Undertakings) Regulations 2003 (TUPE) give special protection for the rights of employees on the transfer of an undertaking (where there is a ‘relevant transfer’), which includes a sale of assets or a business activity, or on a change of service provider. if either employer envisage measures in relation to their employees, the employees’ representatives must be consulted, where reasonably practicable, not later than 30 days before the transfer occurs. An employer must have cause to dismiss an employee. Under the Unfair Dismissals Acts 1977 to 2015, the dismissal of an employee is deemed not to be unfair if it is for reasons of capability, conduct, capacity, redundancy, contravening the law (ie, the employee’s continued employment would be illegal) or some other substantial reason. If the employee’s contract of employment provides for notice in excess of the statutory period, the contractual notice must be given. Payment in lieu of notice may be given if it is provided for in the contract of employment. An employer may dismiss an employee without notice for gross misconduct (ie, summary dismissal). This is conduct that is so serious that immediate dismissal of the employee is warranted; for example, assault, stealing or serious breach of employment policies. Employment contracts may contain further examples of gross misconduct. The Redundancy Payments Acts 1967 to 2014 provide for statutory redundancy payments for employees with at least two years’ continuous service. Employees are entitled to two weeks’ pay for each year of continuous service (capped at €600 per week) plus one additional week’s pay (capped at €600 per week). Yes. The Unfair Dismissals Act states that the adjudication officer or the Labour Court may have regard for the reasonableness of the conduct of the employer in relation to a dismissal. The Workplace Relations Commission has introduced a Code of Practice on Grievance and Disciplinary Procedures, which, although not technically legally binding, employers should follow in dismissing an employee. This Code sets out the importance of procedures and their application in a fair and consistent manner in light of an employee’s constitutional right to natural justice and fair procedures. Employees with 12 months’ service have statutory protection from unfair dismissal. dismissal in the context of TUPE transfer. Yes. The Protection of Employment Act 1977 (as amended) sets down procedural requirements in relation to collective redundancies. In such a situation, the employer must enter into consultations with employee representatives with a view to reaching agreement. These consultations must take place at the earliest opportunity and at least 30 days before the notice of redundancy is given. The aim of the consultation is to consider whether there are any alternatives to the redundancies. the method of calculating any redundancy payment. The employer must also inform the Minister for Employment Affairs and Social Protection in writing of the proposed redundancies at least 30 days before the occurrence of the first redundancy. Irish law does not provide for class actions or collective actions. However, representative actions and test cases operate in a similar manner to class or collective actions. Joinder and consolidation procedures are also a form of collect­ive action. Employers may impose a mandatory retirement age; however, it must be objectively and reasonably justified by a legitimate aim and the means of achieving that aim must be appropriate and necessary. Employers commonly cite succession planning as the grounds for imposing mandatory retirement ages. Yes. It is possible for employment contracts to provide for arbitration of disputes. Under Irish arbitration law, where a valid arbitration clause exists in a contract this will result in a stay in any legal proceedings. Irrespective of the contractual position, an employee will still have the right to seek to enforce his or her statutory employment rights (eg, payment of wages) in front of an adjudication officer or the Labour Court. An employee may waive statutory and contractual rights to employment claims via a settlement agreement. The normal rules of contract law apply and consideration is necessary for a settlement agreement to be enforceable. There is no statutory obligation for an employee to be legally advised, but it is deemed to be best practice. be entered into freely and without duress. redundancy payment: one year from the date of termination of employment, with possibility to extend by another year. All periods of extension are for reasonable cause only. There has also recently been a proposal to extend Ireland’s parental leave from 18 to 26 weeks. This has been referred to a review committee in the Irish government. The GDPR will replace the existing data protection framework in Ireland and the EU from 25 May 2018. The GDPR will increase transparency, security and accountability of both data processors and data controllers. The GDPR also has a more serious penalty structure than the previous data protection regime, where offending data processors and controllers may be subject to a maximum fine of 4 per cent of worldwide turnover or €20 million (whichever is greater). The Mediation Act 2017 was signed by the President on 2 October 2017 and became operative on 1 January 2018. Pursuant to the Act, solicitors and barristers have a statutory obligation to inform parties to disputes, prior to commencing court proceedings, about the possibility of using mediation as a means of resolving them and, insofar as possible, an estimate of the legal costs in the event of court proceedings. 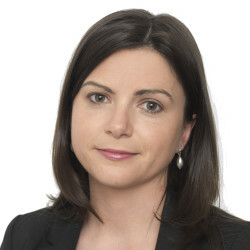 The Workplace Relations Commission recently prepared a code of practice in relation to the issue of longer working (Industrial Relations Act 1990 (Code of Practice on Longer Working) Declaration Order 2017), which outlines how employers should engage with employees in relation to requests to continue working beyond the normal retirement age. This Code now sets the standard expected of employers in dealing with mandatory retirement and employee requests in this regard.